This is the second tip in a series of five to help select the correct tool board. Where you decide to put your tool board can have a big impact on whether it is used correctly or not. Consider putting it at point-of-use, as close to where the work is being performed as possible – even within arm’s reach. If the tool board is located across the room or some distance away from where the associates use it then there is a low probability that they will retrieve the correct tool needed and put it back when they are done with it. Think about which tools are used most often and have those at ready access. Tools used less often can be stored in remote access. Basically, if you use it every day have it within reach. If you use it less often consider another location. Also, consider proper ergonomics. 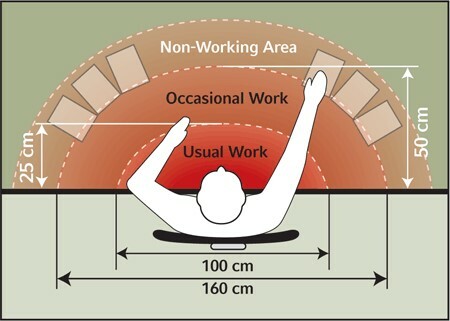 Make sure the employees do not have to reach too far or in an uncomfortable way to get the needed tool. We will cover #3 “Size” next time.